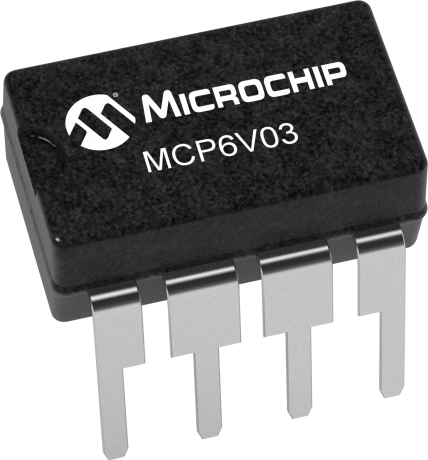 The MCP6V01/2/3 family of operational amplifiers has input offset voltage correction for very low offset and offset drift. These devices have a wide bandwidth product and strongly reject switching noise. They are unity gain stable, have no 1/f noise, and have good PSRR and CMRR. These products operate with a single supply voltage as low as 1.8V and are designed in an advanced CMOS process. AEC-Q100 Grade 1 qualification is available for this device.